Stars have already reacted to news of New Zealand’s devastating earthquake, which struck the South Island city of Christchurch yesterday. Emergency workers are currently struggling to free hundreds of people trapped after the quake struck at around 1pm local time. 38 bodies have been identified, with the death toll expected to rise with the sun this morning. Stars have taken to Twitter to send their wishes to those affected by the disaster, while some are encouraging fans to give to charity. Comedian Kevin Pollak urged fans to "please help if you can. Donate to NZ Red Cross." Other stars who have sent their thoughts and support include Megadath’s Dave Mustaine – who tweeted “Saw news of 6.3 quake in Christchurch, New Zealand. 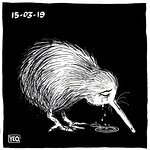 My thoughts & prayers are with the wonderful people of NZ” – as well as Vanessa Hudgens and Stephen Fry. To help victims of the earthquake, please visit the New Zealand Red Cross.